When meeting celebrated interior designer Shaun Clarkson for the first time at his ‘curiosity shop’, Pitfield, he is everything one would expect. Synonymous with clashing colours and extravagance – he greets me in a bright olive turtle neck jumper, teamed with an intensely orange cardi and jeans. 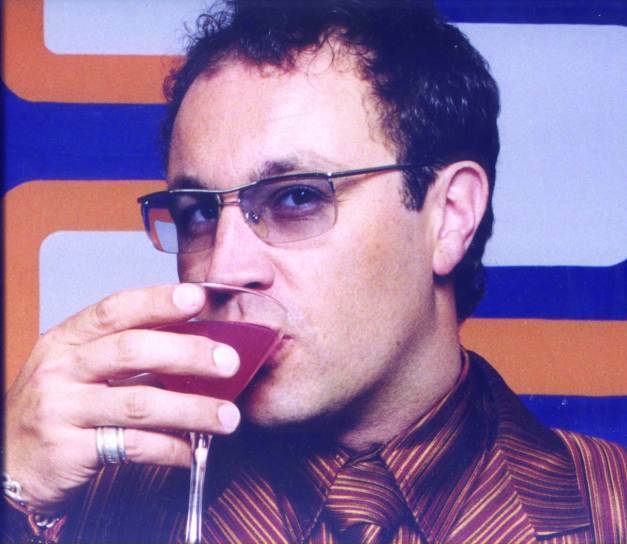 I notice his wedding ring (Shaun is married to textile designer and business partner, Paul) holds the Superman symbol. And judging from Shaun’s recent business efforts, he is Superman indeed. Pitfield London is situated just off the Shoreditch triangle (a place where Shaun’s car tragically got shat on by a delinquent human, apparently), on the unassuming Pitfield Street. Many little gems such as hat boutique, CA4LA and specialist tattoo parlour, Nine Tails, are popping up on this street and it’s fair to say that the Pitfield boutique has a role to play in the regeneration of this previously quiet street. Looking around Pitfield, it’s a popular place even at 11am on a Thursday. Fashion students nibble macaroons and business men yabber on their iPhones whilst gulping down croque-monsieurs and cappuccinos. The ceiling is full of dusty grey exposed pipes and vents. The floor is also a dirty grey, rough and exposed. 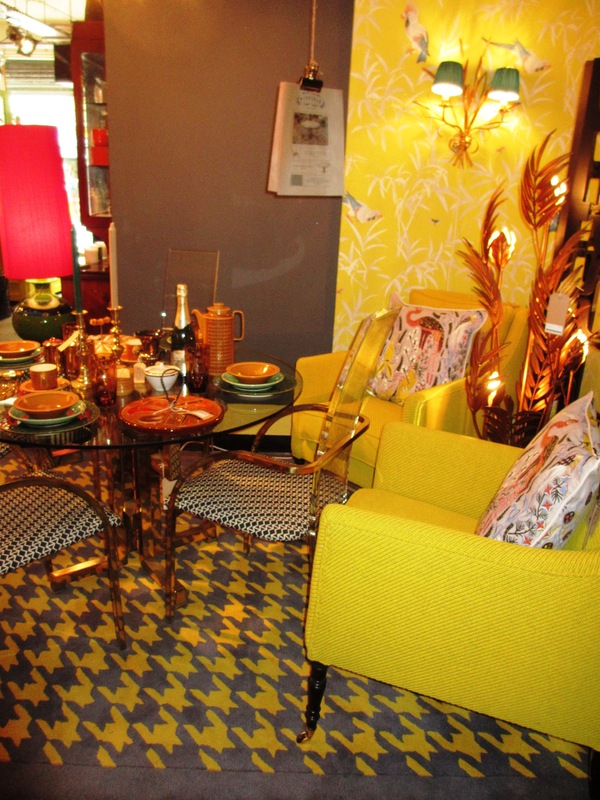 However, everything in between is strikingly beautiful – a luxurious explosion of colour and opulence. Around a third of the shop is a cafe; the rest is an interiors shop. 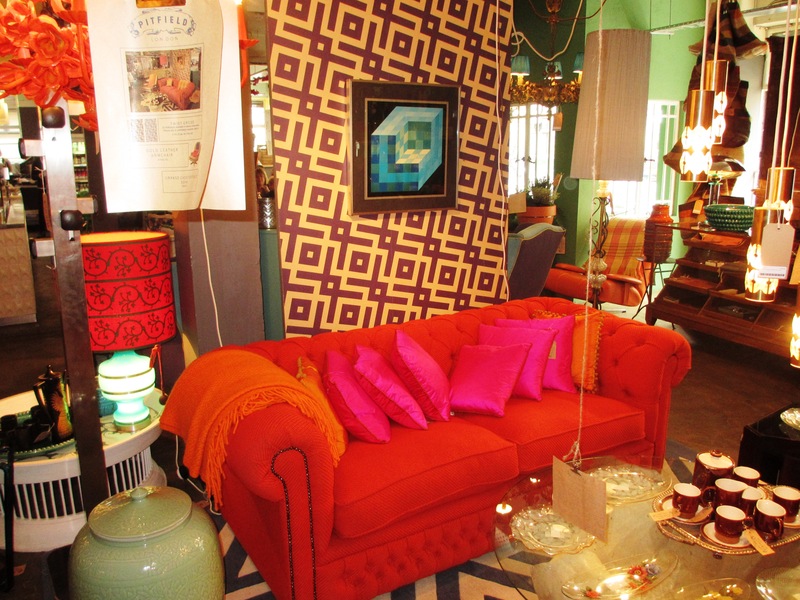 An emporium of new, vintage, up-cycled, and re-invented delights. Shaun is inspired by “everything”, a trip to Burma or a little painted egg; there are injections of all sorts of cultures, ideas and personalities in his work. Picture a metallic gold gun placed next to an Edwardian sugar bowl. Or a rickety old ladder, that most would throw away placed underneath an ornate seventies chandelier, all mixed in with luxurious fuchsia sofas, canary yellow wallpaper decorated with parrots and exotic Klaus Haapanieni cushions. But how did a designer known for designing nightclubs such as G-A-Y decide to make a coffee shop in East London? “I’m a hoarder…if I see something I like, I buy it. Even if I don’t have space!” Shaun is working on a lot of residential projects at the moment, and explains there are often pieces clients don’t like. “I have two houses packed to the rafters!” The idea to open a shop selling these products seemed perfect. “I had this idea for a lifestyle shop but we needed something else, a cafe, another reason to come into the shop. The umbrella brand is Pitfield. You’ve been to the clubs and bars, you’ve stayed in our hotels, you’ve been to our houses and now you can shop in our shop and eat in our cafe”. And that’s how Pitfield was born. This beautiful pit stop opened in late December and has been running from 7am to 7pm, 7 days a week since. The cafe isn’t exactly separate from the shop. “There’s kind of that feeling that you can buy everything, even the chair you’re sitting on. Everything has pretty much got a price on it.” Even the stunningly intricate Klaus Haapanieni crockery which is sold in store is used to serve punters their cappuccinos. Shaun aims to change the shop often and have bi-yearly collections so customers see a changing environment as well as different things to buy. Shaun announces his latest project, the showcasing of new designers. The previously empty space at the shop’s rear will become a gallery space which will change every 6-8 weeks. “We have Nic Parnell starting an exhibition called Flocked Trees, which is very exciting!” There’s only one rule for the designers Pitfield features. “We’re working with people who do creative stuff – but creative stuff that has a function”. 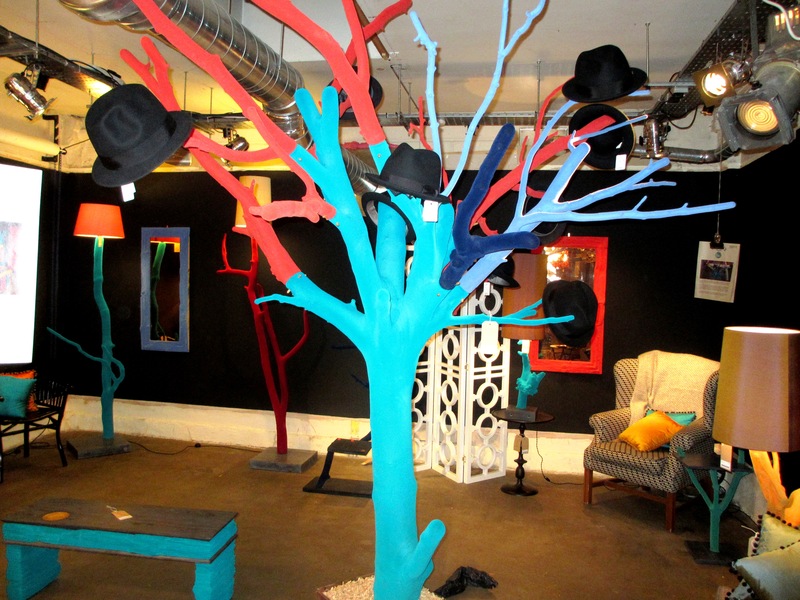 Nic Parnell’s exhibition includes a giant, brightly coloured, tree-like hat stand – worth a look. PR manager, Tess, now appears and talks about the recent ad that was filmed in store. Sony chose the space to create a viral ad for headphones which included Danish singer, Oh Land. Shaun butts in – “it was a complete upheaval of course!” Tess explains “they wanted a meringue in every shot so it was pretty hectic…” I point to the iceberg like meringues in the window and with a hinting tone state I’ve not yet had the pleasure in trying one. “Don’t. They’re varnished” says Shaun. And that was that. Despite working on everything from Absolut to Harvey Nichols, Pitfield stands out for Shaun. “Doing it has been amazing. It’s just gelled everything – like a step forward”. Shaun is also excited about another of his latest projects, restaurant Del Aziz, one of which has recently opened in Clapham. Nevertheless, not all is easy in this ‘Rock and Roll’ world. Gently twisting his Superman ring Shaun explains “it’s hard at the moment. I’ve kind of changed nature as the recession has hit the leisure industry so badly…The West End Clients are really letting us down. They don’t have money anymore”. Nevertheless, things do look bright for the Shaun Clarkson brand. Instead of clutching on to his nightclub routes, he’s looking for business elsewhere. “We’re going in a different direction, everything is becoming more residential”. Many fashion designers such as Marc Jacobs are diving into the leisure industry, creating cafes, and Shaun believes the economic climate has also created a new wave in interior design. “It’s all a bit down and dirty. I’ve lived through several recessions. Your local pub becomes the place because of the cost of cabs and restaurants. Cafes are doing well because of this. You can come and spend a tenner here rather than £30. It’s good for local businesses”. As for what’s the next trend in interior design Shaun believes “It used to be like here’s the trend – lets follow it, but now in interiors anything goes. What we like to do here is just throw things amongst each other”. He points to the giant wicker motorbike placed amongst plush embroidered cushions. So, what lessons can be learnt from Super Shaun? Move with social currents whilst remaining true to yourself, don’t follow trends, and don’t say f*** or bugger. But most importantly, don’t touch the meringues.